Sweet spot. Asus typically tweaks the different iterations of their gaming notebooks by using different GPU solutions. Has the Taiwanese manufacturer hit a sweet spot with the GL753VE and its GTX 1050 Ti? 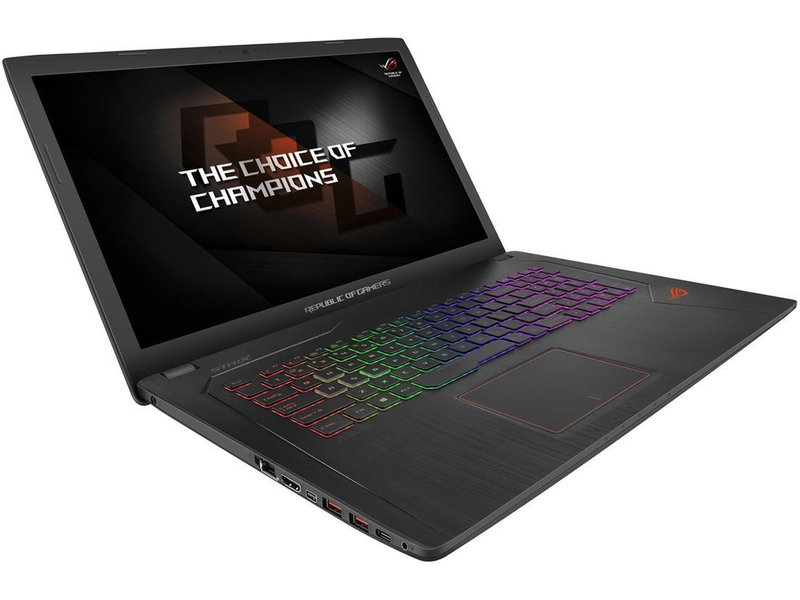 ASUS ROG Strix GL753VE review – what does the 17-inch version offer that the 15-inch doesn’t? Anyway, the GL753VE is currently one of the few mainstream 17-inch laptops with GTX 1050 Ti on board so your choice is limited. But is it better compared to its 15-inch sibling or its rivals? Well, ASUS has makes a compelling case with the GL753VE, except the bigger screen, of course – a wider range of I/O, keeps surface temperatures even lower than the GL553VE and the screen doesn’t use PWM across all brightness levels. You still have to consider the added weight, dimensions and lower battery life, though, so it’s really up to you if you want the bigger screen. In case you’ve forgotten about our little disclaimer above, ASUS has yet to release the SRP for the ROG Strix GL753VE; making it harder for us to tell you if it is worth it or not. In terms of its performance though, if you can’t tell, we’re generally happy about this gaming laptop from the Republic of Gamers. We understand if you guys want a machine with a little bit more oomph, but we’re guessing that extra something also cost a few extra Gs. If ASUS gets the pricing for this laptop right, we would absolutely recommend it. If we were to venture a guess though, we think this gaming laptop would probably cost around Php 70k; seeing as the ASUS FX series notebook with a 1050Ti is priced at Php 65k. Other laptops offer the same mainstream graphics power for less, but the Asus ROG Strix GL753 dresses it up with a nice display and game-friendly extras. It stands a reason to call ASUS GL753VE-DS74 one of the best mid-priced gaming laptops of 2017. See, if you don’t absolutely require all eye candy on with Full HD resolution and expecting top FPS, you have nothing to worry about. You can still play even the most graphics-intense games on high(ish) settings. Naturally, everything you want to do with software will be handled effortlessly – that’s the core job of the i7 processor, DDR4 memory and solid-state drive. In addition, it’s going to be a breeze to look at the large screen on your gaming sessions. Disadvantages are the same than in any gaming computer: poor battery life and portability. If you can stand those “flaws”, this ASUS will only put a huge smile on your gamer face! Positive: Premium design; excellent display; comfortable keyboard; powerful hardware; decent battery life. Positive: Stylish design; excellent display; comfortable keyboard; good ergonomy; nice performance. Ревю на ASUS ROG Strix GL753VE – какво предлага 17-инчовата версия, което 15-инчовата не може? Positive: Excellent keyboard; nice connectivity; bright display; good cooling system. Negative: Relatively heavy; short battery life; mediocre touchpad. 80.9%: This rating should be considered to be average. This is because the proportion of notebooks which have a higher rating is approximately equal to the proportion which have a lower rating.